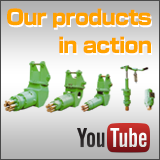 Hydraulic concrete dresser | Products | Kurita Sakuganki K.K. 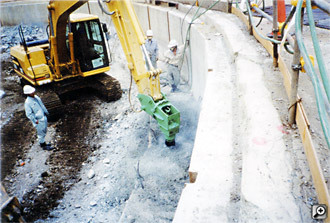 Hydraulic dresser is a concrete surface shaving machine. 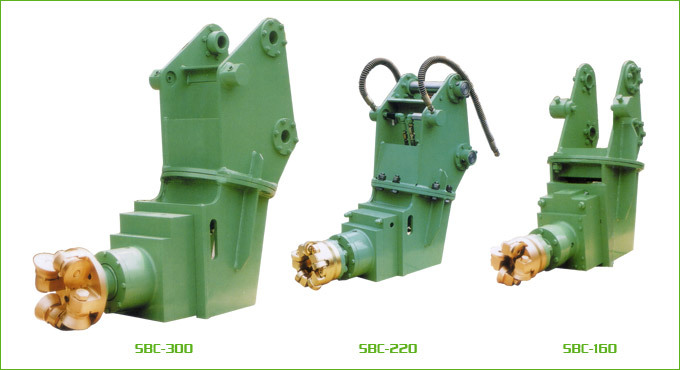 It is installed on hydraulic excavator, and operates on oil pressure of the excavator. 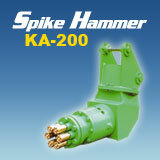 It can be installed immediately for heavy machineries with breaker piping. It can turn the dresser in any direction with swing platen. 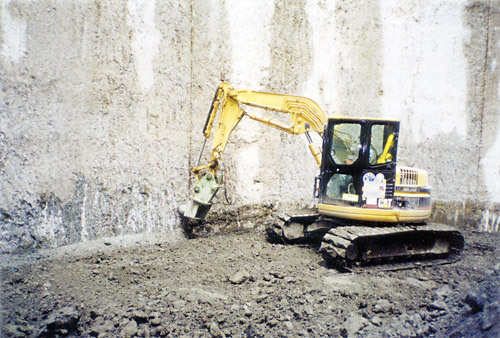 The absence of strike makes it low noise and low vibration. 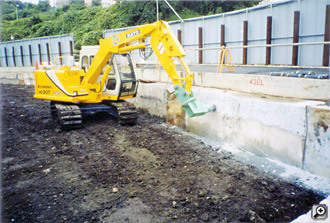 60Φ～100Φ cup bit is installed to shave concrete surface with rotation alone. Bit body has dust collecting holes in the center, and can collect dust with precipitator. Cup bit can change positions on 4 faces. The position is changed with a bolt and used until the whole circumference of the cup bit is consumed (exhausted). It is free from vibration disease 振動病and can ensure safety, since it is installed on heavy machinery.